Thank you for reporting this bug, should be fix now. The problem seem to be fix now (this error is random, ). Can you try again and let us know if it’s ok for you now ? Thank you Bob, this InMoov plateform is widely inspired from the one Gael made. My components are coming from old broken stuff to make it low cost as it is a temporary solution waiting for legs :-). I like your drive system. 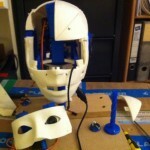 Can you share some details about the components you used to build it – motors, servos? 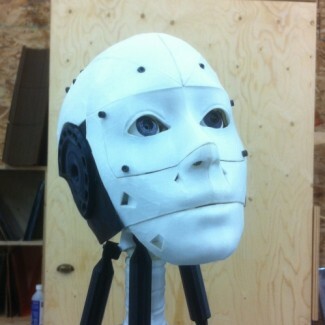 i like your choice color in your inmoov!!! Awesome, now we can go racing!! Thanks for all the links. I am still using a huge Transmitter gracefully given by Alessandro during the Paris Makerfaire, but I really want to build something much smaller which could transmit directly to the receiver. @Bob, I replied to your questions on the thread in which I posted the video with the base. You and me both !!!! and thanks a lot for working on it and figuring it out. wonderfull a full 3D printed wheel !!! better than looking for old golf caddie :-). This Golf caddie is in aluminium so it is really sturdy, don\’t know how many clubs it can support but one InMoov seems ok.
Hey cool! 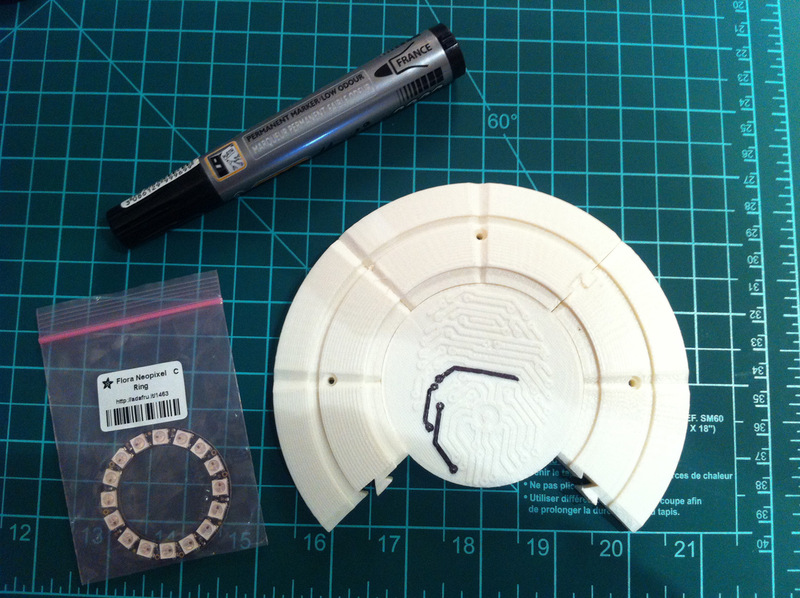 We should make a new link in the “Build Yours” for the 3D printed wheel system. I have almost all the parts designed and ready to upload. Just to share with you the very first wheel spin of Airwin this night. I hope the small motor coming from an old electric Kids Toy will not soon burn. There is something of a Déjà Vu. Using a golf caddie is a very good option! 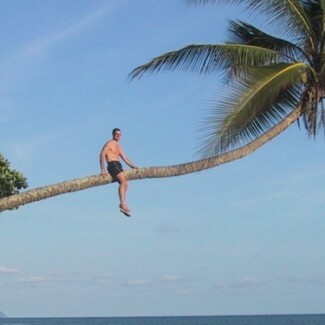 Is it sturdy enough? 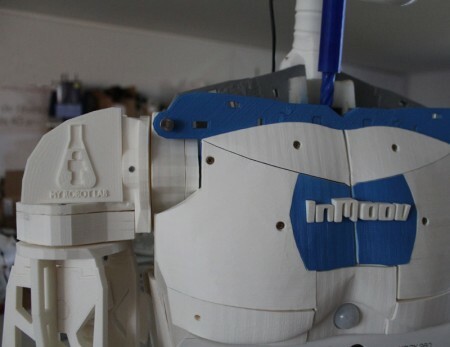 I am pretty sure your motors will do the job, InMoov is a light fellow! This Golf caddie is in aluminium so it is really sturdy, don’t know how many clubs it can support but one InMoov seems ok.
Nice looking base. How does it work? Do you have a video of it moving around? Very good idea the \”double pulley\”. You get the same results for the pinky and middle finger ? Almost. Even if the pinky moves a shorter distance than the middle finger, the ratio between opening and closing seems to be almost the same. I only use one pulley size for all fingers. Yes the bigger letters make it easier to see them! The new version has bigger letters indeed and filet around the edge. Do you try MRL 1.0.107 ? Thank you Gaël. 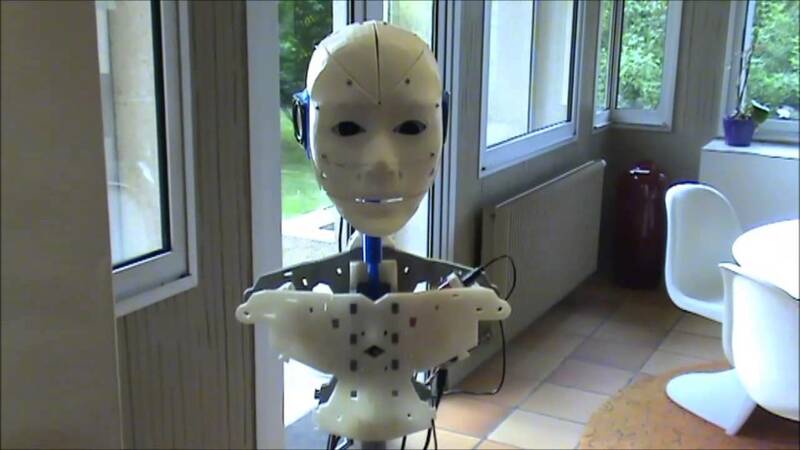 We are very happy to work on InMoov Web site :-), hope all InMovers will enjoy this new interface, all suggestions are welcomes to improve the functionnalities. hi, agree that it looks nice! could uploading a picture or link be added to the comments too? Finger Starter, the very first things i 3D print. 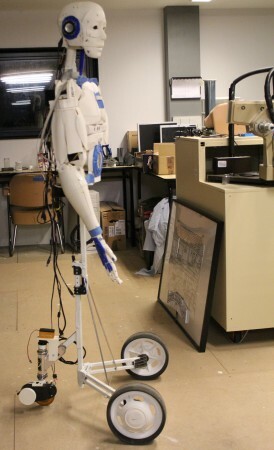 A really good starting point on the InNoov project and robotics. 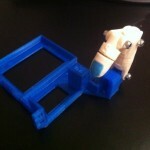 If you can do a Finger you can print a Robot :-). 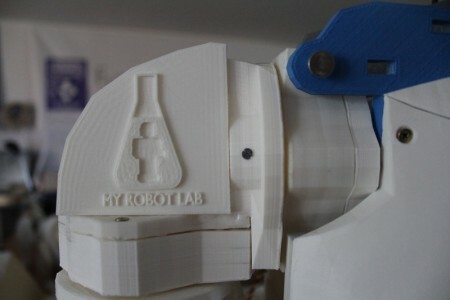 I don\’t check if MyRobotLab already have added the NeoPixelRing service ? Well, no the NeoPixel Ring is not yet implemented in MRL. It actually means, it needs to run on a seperate Arduino dedicated only for that function. 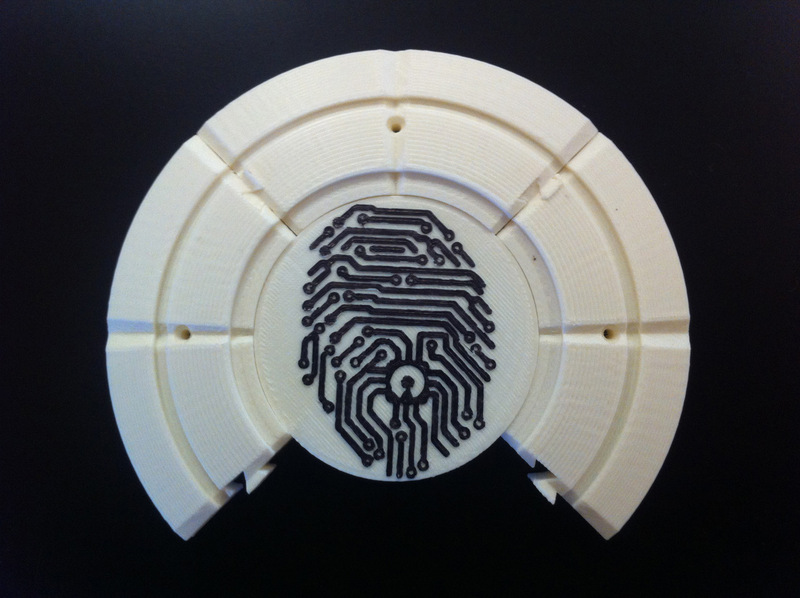 Cool after working on the website , a bit of fun 3D printing! 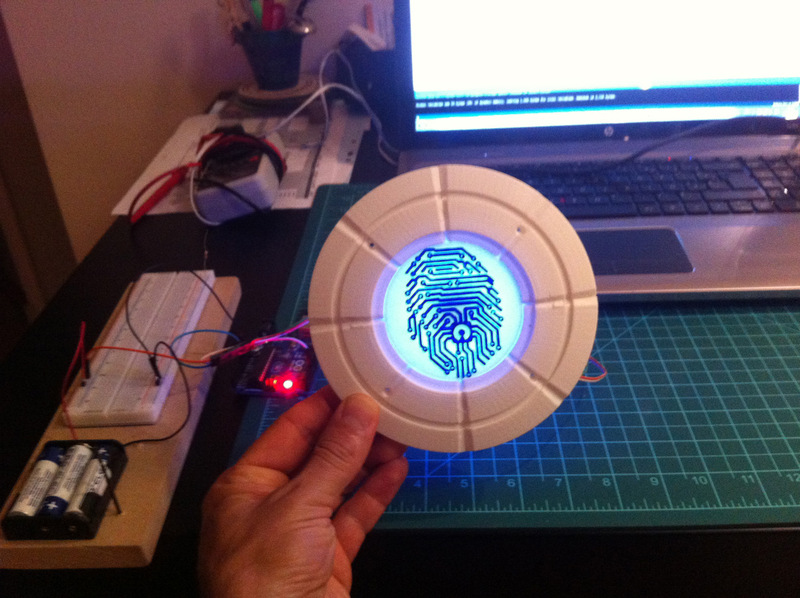 was there the script in my database for the NeoPixel ring, I can’t remember if I have uploaded it on the site? If not let me know and I will. I don’t check if MyRobotLab already have added the NeoPixelRing service ? 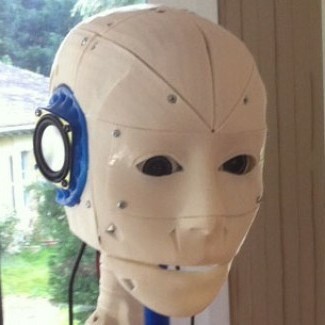 Is somebody try voices for inmoov comming from Voxygen French cie ? First test of our InMoov Robot. Juste a funny video on the first parts already done on this project. Great! I always enjoy videos, specially when they are comic!